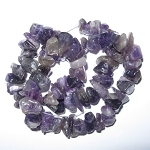 Wear this Money Necklace and increase your wealth and prosperity while protecting it. 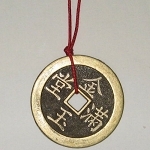 This Chinese gold ingot symbolizes actual gold bullion used in ancient China as large currency. 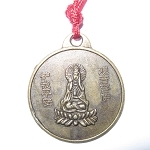 The Chinese gold ingot is a traditional Feng Shui cure and wealth symbol. The color green, white quartz and the ingot shape all symbolize wealth. The ingot represents money coming to you. The red cord will protect you and your money. This Money Necklace features a dyed green quartz gold ingot hanging from an adjustable 18 to 24 inch red cord.